May marked the the first month in the 2012 election cycle where Mitt Romney hauled in more campaign dollars than did President Barack Obama. Up to now, the President’s prodigious fundraising machine raised monthly totals that surpassed the amounts brought in by any other individual who is or was running for the presidency in 2012, and Team Obama did not like its streak being broken. So, the Obama campaign fired off the following fundraising email that tries to motivate his forces and have them reach deeper in to their pockets for the President. The solicitation attempts to rile up the Obama base by suggesting that Romney’s money is coming mainly from special interest and big business while Obama is receiving the financial support of the little guy, the average Joe. But in the email attributed to Obama campaign manager Jim Messina, neglects to mention that most of Obama’s money is coming from 30 different billionaires and many of the corporate interests that he has bailed out with taxpayers dollars and has given high power government positions to on assorted commissions and panels of federal influence. It also does not account for the dozens of contests that Team Obama has run by soliciting small donations in amounts of $2 or $3 in order to have a shot at winning something like a dinner with stars such as Eva Longoria. Romney has run similar contests too, but not nearly on the same scale that the president has and without using Hollywood and pop culture figures like lottery prizes. In their solicitation, the President’s campaign also fails to mention such fundraising events as “Barack on Broadway”, where the average Joe was able to drop $2,500 a ticket, or a recent star studded NYC diner at $40,000 a person. Those facts aside, Romney and the G.O.P. did raise more than $76 million last month, $16 million more than Barack Obama’s campaign. But that could have more to do with the fact dismal employment numbers and continued troubling economic indicator have dulled the “average Joe’s” enthusiasm for the job that President Obama is doing. As for Republicans and Mitt Romney, the latest figure represents a significant increase in fundraising and more importantly, that increased flow of financial support is a dramatic indication of just how well Romney is consolidating support from within a long divided field of Republicans who were competing against Mitt for the nomination not so long ago. He and the GOP brought in $40 million in April, just short of the $43.6 million President Obama and his party raised that month. But liberals fear not. Billion Buck Barry will do his best to keep his promise of raising $1 billion dollars for his reelection effort. And he will do so without a single soul on the left accusing him “buying the election” like Mitt Romney will undoubtedly be accused of. The Herd is a special White House 2012 series covering the obvious and not so obvious potential choices to be selected as Mitt Romney’s vice presidential running mate on the Republican presidential ticket. Each day, White House 2012 will introduce you to one the of the many Republicans which we believe will be at least considered for for the vice presidency by the now inevitable presidential nominee, Mitt Romney. 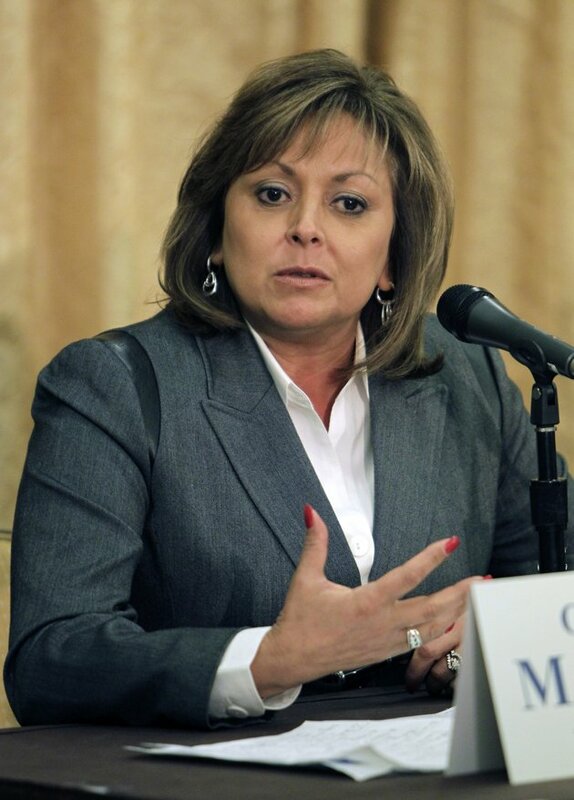 Today White House 2012 takes a look at New Mexico Governor Susana Martinez. (1959-07-14) July 14, 1959 (age 52) El Paso, Texas, U.S.
Martinez is a strong, Thatcher-like, conservative, woman who in 2010 handily won her election and became the first female governor of New Mexico, and the first female Hispanic governor in the United States. Beyond both the appeal of the balance she would bring to the G.O.P. as both a Hispanic and a woman, Martinez is simply a strong conservative leader with solid conservative positions and a powerful conservative agenda that translates into the type of solutions that New Mexico and in many ways, the nation requires . One area where Martinez may be seen as wandering off the conservative Republican ranch. While the Party line generally focusses von cutting services, the opposition often attempts to use that as a way to paint the G.O.P. as out to decimate programs aimed at helping the sick and poor. But such charges can not be used against Martinez. She goes out of her way to make it know that she believes in providing services to adults and children who can’t take care of themselves. That belief even prompted Governor Martinez to wrest an additional $6 million in Medicaid money out of the New Mexico legislature during her first year in office, despite inheriting a a $450 million deficit. This may earn Martinez some sharp criticism from fiscal conservatives on the right, but in the general election, it could a long way in compensating for the harsh image that the Obama and the pro-Obama media will create for Republicans when it comes to the most vulnerable in our society. 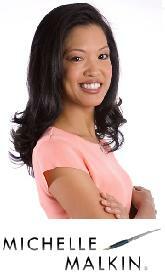 In many ways, Martinez is shrewd or to put it in a more accurate and less ominous way, she is politically savvy. She knows that her political future is bright and so she has been very carefull in her political decision making. She has avoided any of the political landmines that often eventually blowup in the faces of other politicians. In many ways, you can say Martinez is pacing herself. She offers bold conservatives solutions that are designed to address the problems of her state but she as avoided getting heavily invested in anything that would anger one segment of the electorate or the other. This may not be seen as a profile in courage but from a political standpoint, New Mexico governors are limited to two terms and if Martinez does a job that is good enough to get reelected, her second term could be the one in which she uses to shoot for more bold, sweeping reforms. In the meantime, Martinez has one of the highest approval ratings of all the governors in the nation and she is in a perfect position to bring that type of popularity to the Republican presidential ticket. Martinez has many of her own ideas on how to do that. One of them includes reminding Latinos that President Obama promised to pass comprehensive immigration reform by the end of his first term year in office and to make them aware that as it turns out, he “didn’t even have the courage to try.” Another suggestion is for Republicans to come up with their own, very real, multi level approach to immigration. An approach that includes a guest-worker program for people who want “to go freely back and forth across the border to work”; increased border security; a visa (coupled with a “penalty” or a “tagback”) that allows rest of the illegal population to remain in the U.S. while they follow standard naturalization procedures. deportation for criminals; and a DREAM Act-style pathway to citizenship, through the military or college, for children brought here illegally by their parents. But with such strong opinions and an obviously bright future of leadership, it is very possible that Martinez could be convinced that by joining the Republican presidential ticket, she might be able to accomplish these things. With Republicans needing close to at least 40% of the vote if they wish to win the White House, there is no good reason for Mitt Romney to adopt the ideas of Martinez and unleash her on the nation to campaign for the their implementation. Given the reality of it all, Martinez is by far the best choice for Mitt Romney. Like Marco Rubio, she appeals to Hispanics, but as a Latina she also appeals to women, and not just Hispanic women. Martinez also comes from a state that if Republicans win, could make it impossible for President Obama to hammer together the 270 electoral college votes that he needs to win reelection. Martinez is also a top notch campaigner whose natural people skills goes a long way in compensating for Romney’s robotic personality. In that area, what Romney lacks, Martinez more than makes up for. Although Martinez’s record is not blemish free, her placement on the G.O.P. 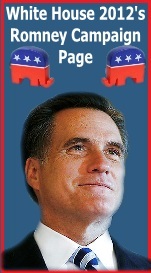 ticket as Romney’s running mate could make all the difference in a close election. While the selection of some potential vice presidential running mates like Marco Rubio of Florida and Rob Portman of Ohio may be essential to winning one or the other of those two states that are critically needed for Republicans to win in November, Martinez could change the electoral equation of all the states by cutting in to the Democrat’s traditionally reliable strength among women and Hispanic voters. Will face sharp criticism for the handling of a mentally ill man who was held without a trial for two years at a county prison while she was D.A andfor being briefly fired in 1992 when her boss accused her of bringing in a case her husband had investigated. While there are several other favorites of my own such as Mitch Daniels, Bobby Jindal, Allen West, Marco Rubio, John Thune, and Jeb Bush, New Mexico Governor Susana Martinez is another contender I am cheering for. Martinez is a strong, convincing conservative voice with a compelling story and powerfully confident record on conservative issues and as a state executive. Her Thatcher-like strength goes a long way in providing a sometimes sexist male electorate with confidence in her and her ability to relate to women and Hispanics is unparalleled by any other figure on the national stage today. Those latter two points can have a major effect on the election, especially among those Hispanics and women who are independent voters. From my perspective Martinez is a perfect choice not just for Mitt Romney but for anybody. She is right on the issues and is better suited than any other potential Romney running mate to articulate the Party’s position positions on those issues than most others, and when it comes to women voters and Hispanic voters, she is better than any other national figure especially when it comes to adding diversity to the ticket. The only way Martinez could add a more perfect angle of diversity to the ticket would be if she was a lesbian. Could you imagine the frustraqtion of the left having to contend with a conservtive Latina lesbian? And contrary to what you might think, they do exist. But I am not the presidential nominee. Mitt Romney is and I do not think he is likely to select Martinez as his running mate for several reasons. Martinez is probably not the non-controversial choice that is safe enough for his comfort level and he will probably want to avoid the distraction that the media will cause with inevitable comparisons of his campaign to John’s Mc Cain’s losing 2008 campaign and the selection of Sarah Palin, another woman and freshman Governor selected to be Vice President. Another possible reason for not selcting Martinez is her prior criticism of Romney and her demonstrated disatisfaction with some of Romney’s polcies.. That is addition to her indicating that she will not consider accepting the position if it was offered. I hope I am wrong about Romney’s thinking though, and I would hope that Martinez would reconsider her earlier protestations because I truly believe she is one of the best 5 men or women for the job. Congress’s rating is at an all-time low, the Payroll-Tax Cut Extension has ground to a standstill, and due to some in the media and Republican Party establishment deciding, they want Mitt Romney as their nominee over everyone else, an open “negative smear campaign” led by a political action committee with close ties to the former Massachusetts governor, has been unleashed on Speaker Gingrich in the last few weeks. All these actions and the forced withdrawal by Herman Cain from the presidential race has only convinced me of one thing, the pundits and establishment figures are dictating the GOP nomination, not the ordinary voters. Any candidate who has led the Republican field, with the exception of Romney, has come under an avalanche of attacks which has damaged their fund raising and campaign capabilities considerably. I have arrived at one very clear conclusion, if Republicans don’t shift their focus from continuing the dire and frequent mistakes in Congress or on the campaign trail behind them, and start focussing on addressing the very real problems facing the nation in 2012, it will be a foregone conclusion that President Obama will be re-elected. More worryingly, the Democrats may hold onto the Senate and make gains in the House of Representatives come November 2012. The election and America needs a candidate who can provide solutions, address the deficit issues and restore confidence in the American economy. I always maintained, if America truly wants the transformational leader needed to repair the damage after a decade of war, and three years of poor policy and a weak economy, then the Republicans need to cease the attacks on each other and focus on policy. Many will point to Mitt Romney’s private sector accomplishments and yes, they are impressive however, Romney has stayed away from the media for most of the campaign up until recently. Furthermore, he has been great at highlighting what President Obama and the other candidates represent however, he simply has not been convincing at telling people what he stands for. He’ll say, private sector experience, creating jobs, and family however, is his jobs plan the most robust on the campaign? I would argue no, and by some considerable difference. I admire the former Speaker in his efforts to stick to the Republican 11th Commandment of not attacking another candidate. One has to consider, in view of the intensity and nature of the attacks on Gingrich in recent weeks, was it the DNC or someone within the GOP who scuttled Herman Cain’s campaign? If one reflects on the evidence of recent weeks, I would say any impartial person would have to seriously question the source of the allegations against Herman Cain which forced him to abandon his campaign and surmise that perhaps they didn’t originate from the Democratic Party Machine. I watch a number of the American channels here in Europe over the internet or on Satellite on a daily basis. What has surprised me is how many positive Romney stories have been run by Fox News with little or no negative inferences when compared to the coverage of Gingrich in recent weeks. I even mentioned in an article the other day that Fox appears to have become the Romney channel. I’ll say one thing, if their biased coverage continues, I will vote with my feet and stop watching it with an ample amount of others channels to choose from. I want the Republican Party not just to win the presidential campaign in November 2012, but to win majorities in the House and Senate. The party is in danger of losing sight of the bigger picture by not stepping in to cease the attacks between candidates. They need to develop their messaging as a vision for rebuilding America, that messaging has to be based on issues, policy and an ability to deliver, not effective media consultants or engaging in a personal smear contest. 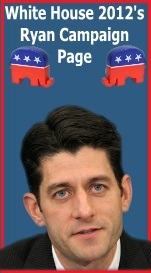 Ideas and solutions have to be the mantra of the Republican Party going into 2012. If you show voters a clearly defined path to economic restoration and might, they won’t be interested in personality; it has to be about substance. President Obama and the Democrats want nothing more then a long, damaging GOP primary contest. He can’t run on his record and with the money available to his campaign, President Obama will win a negative and personal attack campaign easily and four more years. Furthermore, Romney has not really had the level of scrutiny or attacks that other GOP front runners have encountered in this campaign. Am I convinced he can rise above a similar level and intensity of attacks that Bachmann, Cain, Perry and Gingrich have experienced and beat President Obama? I do not believe he can. Romney has had an easy ride up to this point and my biggest fear is he wins the nomination only to crumble too easily in a general election race. 2012 is about more than the presidential race, it is about getting a strong leader and effective working government who can lead the country back to greatness. If you allow smooth talking and large media buys dictate your thinking then perhaps the prediction of the Chinese century being the 21st Century is not too inaccurate after all. President Obama a one term president? According to the CNN Poll of Polls, which is an average of the most recent national surveys, 45 percent of Americans approve of how the president is handling his job and 51% disapprove, a short term boost largely attributed to the recent success in Libya. It is now 364 days until perhaps the most economically important presidential election in generations both nationally and internationally. 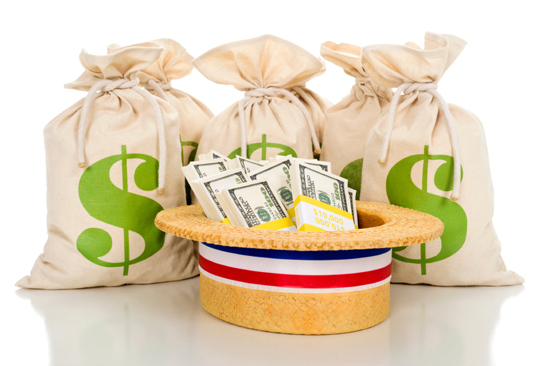 The president has already raised more money than all his GOP rivals combined. Obama hopes to raise nearly $1 billion for his 2012 re-election bid. There is no doubt, President Obama has enjoyed considerable success in the war on terror and in his pledges to drawn down American forces in Iraq and Afghanistan which many, believe to be politically motivated, rather than a matter of military decision making. How would I rate President Obama’s re-election chances? I still see it as very much a 50-50 chance for the following reasons; while people may disapprove of his administration in many areas, President Obama is still personally very popular, especially among minority groups who are expected to have a big influence on the outcome in 2012. He will have considerable funds and the support of the liberal media on his side, which, cannot be under estimated and above all, it is the ability of the GOP to unite behind a credible and strong candidate that will ultimately have the biggest influence on the outcome in 2012. Don’t under estimate President Obama’s campaigning ability and rhetorical skills, he will prove an extremely determined competitor, and if his manages to get people to remember why they liked and voted for him in 2008, it will be difficult for any GOP contender to beat him. President Obama following his many recent travels appears determined not to concede key swing states like North Carolina, Indiana, Virginia, Florida, Colorado and New Mexico. A year is an extremely long time in American politics, and things could change the odds in President Obama’s favour. Economic growth could exceed expectations, and the unemployment rate could start to turn on a downward trajectory restoring some of the much shattered economic confidence in American households. My own personal belief is that the current administration seem incapable of making the fundamental policy shift in curbing spending and lowering taxes, to really deliver a boost to economic growth and this has only been further solidified by Democratic support for the Occupy Wall Street protests of recent weeks, and the attacks on the entrepreneurial spirit which has made America a great nation for the last century. James Carville the famous and respected Democratic strategist coined the phrase, “It the Economy stupid” when former President Clinton was running against former President Bush Snr. amazingly, President Bush Snr. enjoyed an astounding approval rating of 89% just over a year before the election and went on to lose. In this coming election the phrase for the GOP should be, “It’s Jobs stupid.” A record number of Americans, 49.1 million are poor, based on a new census measure that for the first time takes into account rising medical costs and other expenses. External debt now stands as % of GDP at an incredible 101.1% and unemployment is at 9%, higher then even the biggest sceptic believed it would be following the stimulus plan. Unfortunately, President Obama’s economic team have only created uncertainty surrounding healthcare costs, tax and regulation over the last three years, these three factors alone are the biggest reasons why job growth in American has come to a standstill practically. A Washington Post/ ABC polling today showed only 38% of American’s approved of President Obama’s handling of the economy against a disapproval rating of 61%. The reality is, if people took out President Obama’s personal appeal and focussed on his job performance and implemented policies during the first two years of his administration, the outcome of next years election would be a foregone conclusion with a GOP landslide. However, this election is going to be unlike any other. Personally, I believe substantively only Mitt Romney or Newt Gingrich really have the experience, credentials and ability to beat President Obama in a head to head with the exception of Ron Paul who may benefit from a failure by the international community to resolve the debt crisis. It is important that the GOP nominee sells the message that they are the person capable of restoring America’s economic prospects and focus on facts. The strategy to an Obama victory seems set to be played out in the Midwest states where President Obama still enjoys popular support and on portraying an “Under Dog” tag. 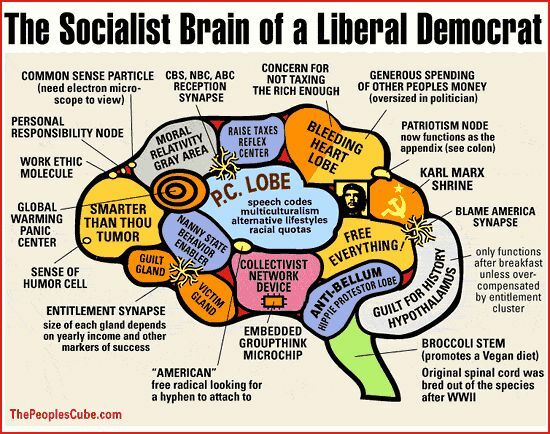 The Democratic Party machine will unleash the fiercest and most personal attack campaign American electioneering history has witnessed. The president has already tried to use class divide and emotional scare tactics to frighten voters into supporting him, the one fact which cannot escape President Obama is his record. Don’t believe the “Under Dog” status, President Obama will be the best supported and financed “Under Dog” in political history. The choice for American’s like previous elections, “Are you better now then you were four years ago come November 6, 2012”. The eventual GOP nominee will need to focus on President Obama’s record, which is partly why, I believe Speaker Gingrich may be the best bet for the GOP nomination due to his factual, precise and eloquent communication skills. It promises to be the mother of all contests that is for sure. On this day in 1776 was born a concept that blossomed into a government that founded the greatest nation in the world. The concept of a government that believed freedom came first and that government’s main purpose was to defend our freedoms, inspired a force that brought an end to tyranny and gave birth to a Republic that became a beacon of hope for the world. The celebration of our nation’s birth is not partisan. It is a celebration shared by us all. Yet as we struggle with the responsibilities that come with freedom, there exists a partisan divide regarding how we proceed to keep our nation strong. For me though, there is no question about the direction we must go in. I believe that the very concepts and principles which gave birth to our nation, are the very principles and concepts that we must adhere to. That direction is found within the conservative ideology. As evidence, I would like to present the arguments once made by one of my political heroes, a former member of the House of Representatives named John Ashbrook. “This nation was founded on a number of principles. One of the main ones was the concept of limited government. The virtues of limited government seem to have been forgotten by many political leaders. Government bureaucracy has grown. Regulations stifle more and more aspects of life. Regulation by government has taken on awesome dimensions. Proof of this can be seen in the regulatory agencies. Ashbrook’s statement was not intended to commemorate our nation’s birth, but on its birthday, those words offer us a reminder of why we became a nation and what our government is supposed to be about. The statement was made several decades ago, yet Ashbrook’s contention that the virtues of limited government have been forgotten by many political leaders, still applies today. Especially in the case of our President. More government means less freedom. Yet today, while we celebrate our independence, our political leaders are burdening us with more government and less freedom. 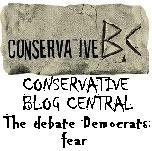 To debate the issue, the dynamic of left versus right, liberal versus conservative, Democrat versus Republican, is inevitable. But if one were to base the argument on the principles that founded this nation, the debate is not as much left versus right as it is right versus wrong. Many may disagree and at times such basic ideological differences can become heated and create greater divides than they should. But on this day we can all unite in celebration of the fact that thanks to the limited government principles that created us, we are free to disagree. For that we thank God ……and America.